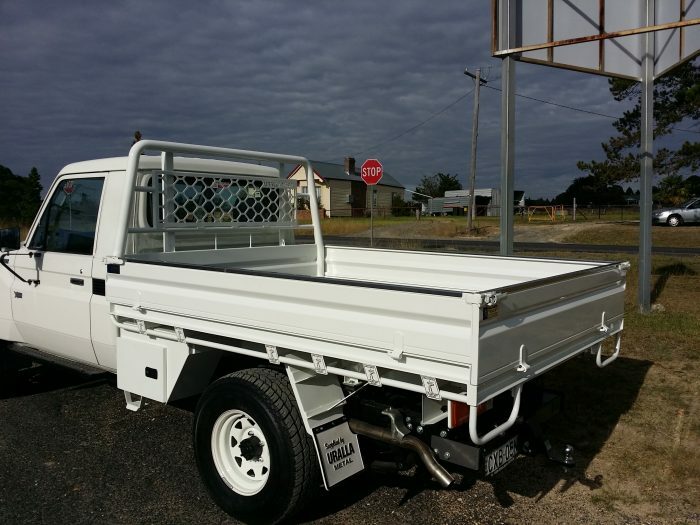 Uralla Metal has been proudly manufacturing utes trays and tippers for the New England since 1996. Our qualified staff can design and build the perfect underbody ute tippers to suit your job and vehicle. Ute tippers are the perfect way to make unloading quick and easy. We manufacture our tippers with safety and functionality in mind. Features like isolation switches, safety props, and hose burst protection valves are considered standard fittings that ensure the wellbeing of the operator. Ask us about our many optional inclusions. This can include removable gates, racks, aluminium or steel alloy trays, load restraint pins, toolboxes, and other accessories. 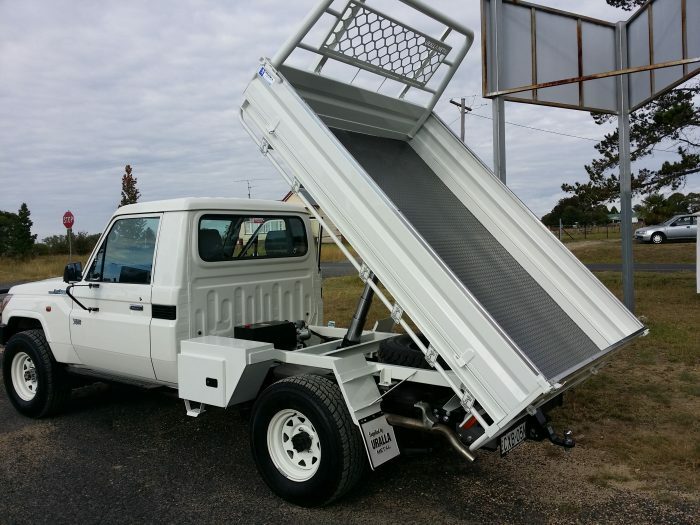 Customer satisfaction is our number one goal — simply come have a chat with us about your specific requirements, and the dedicated team at Uralla Metal will do all they can to create your ideal ute tipper!